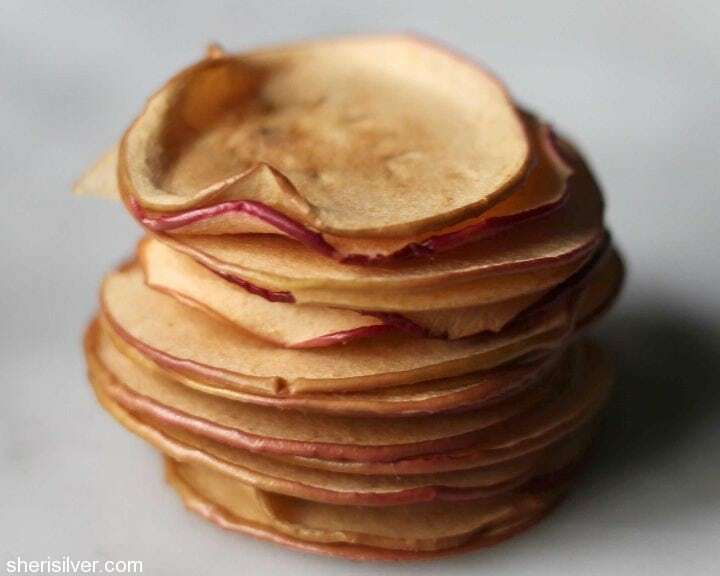 The parmesan tuiles I did a few Fridays back were such a hit that I decided to share another one-ingredient wonder – apple chips! Noah loves crunch – the boy will take a pretzel or chip over a cupcake or cookie any day (remember these?). So when I saw this recipe on my friend Meredith’s blog I knew I had to make them. Score! They take less than 5 minutes to prep, followed by two unattended hours in the oven. No peeling or coring required. They will keep for several days but Noah usually polishes off the whole batch in one sitting. 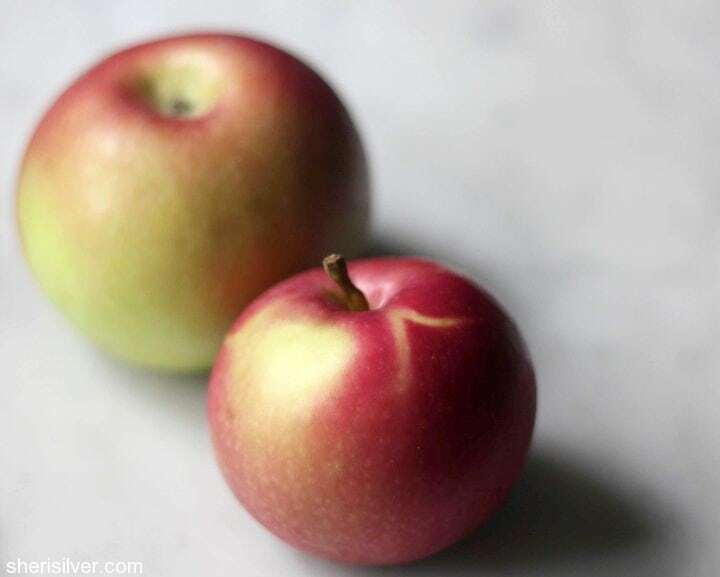 An apple a day indeed! As for the “blove” – if you’ve never checked out The Food Yenta, you’re in for a treat. Meredith writes a fabulous blog about cooking, growing and serving delicious food. The photographs are great and the writing is that kind that makes you feel like she’s sitting in the room (with a glass of wine, most likely) with you. Funny, warm and completely accessible, it’s become a “go-to” for me when I’m looking for something satisfying and delicious. Wondering what favor-”ette” means? Click here! Pre-heat oven to 200. 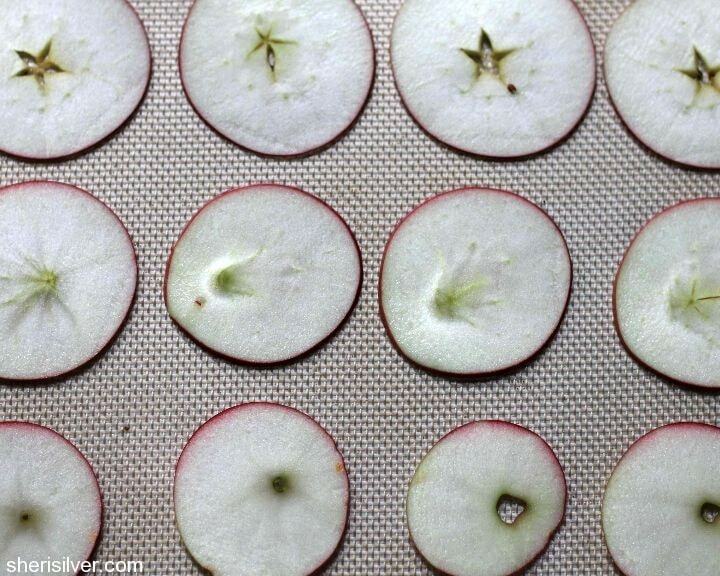 Thinly slice apple(s), using a mandolin or sharp knife. 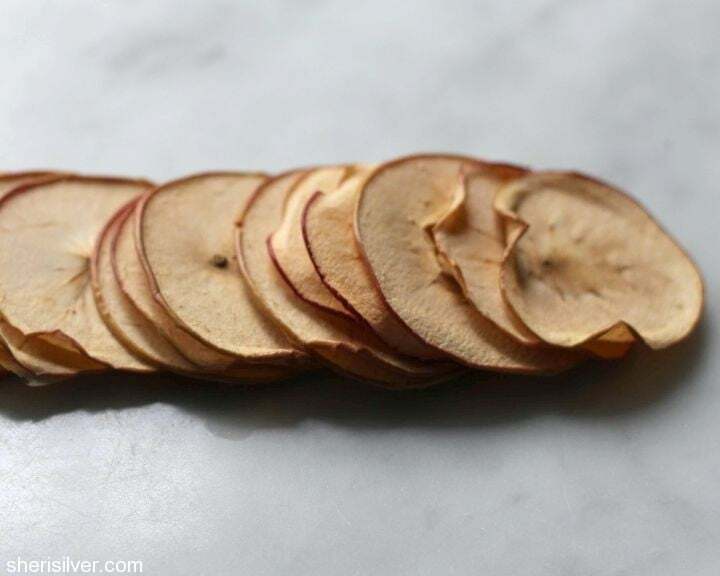 Place slices in a single layer on a baking sheet lined with parchment or a Silpat. Bake for two hours. Cool slightly and serve, or store in an air-tight container. cookie jar: “earth cookies” for earth day!